Nicotine has a negative impact on the development of the foetus, leads to cardiovascular disease, is a ‘tumour promoter’, is harmful to adolescents. The government appears highly concerned about the nicotine in ENDS, while the same nicotine present in gums and patches (NRTs) is being widely sold over the counter and online on Amazon. If nicotine is so dangerous, why is it being sold without any age checks? Further, if the government is serious about protecting vulnerable groups from nicotine, why is it not banning tobacco cigarettes? Nine out of 10 smokers initiate when they are minors. If ever there was and continues to be a problem, it is teen smoking. Why has smoking not been banned, instead of a safer alternative that can significantly reduce harm to smokers and those around them? The major harm in cigarettes comes from tar produced by burning of tobacco. ENDS do not have tar as there is no combustion. There are possibilities that children, adolescents & youth (and generally nonsmokers) will initiate nicotine use through ENDS… are Iikely to switch to cigarette smoking. There is little evidence to suggest that e-cigarettes (vaping) will lead teens to smoking. A major survey of 60,000 teen respondents conducted in collaboration with Public Health England found no evidence of this ‘gateway effect’ (pdf). Empirically, too, this claim is specious as smoking rates among youth are declining in countries that have allowed (regulated) vaping. In fact, after vaping was introduced, smoking rates have shrunk at a historical pace in these countries, which clearly points to the tremendous potential of e-cigarettes to end the smoking menace. The scientific evidence regarding the effectiveness of ENDS as a smoking cessation aid is scant and of low certainty. According to a CDC report, nine million Americans have quit smoking with e-cigarettes (pdf), along with 2.8 million in UK, 1.2 million in France, 1.5 million in Russia, 1.38 million in Italy, a million in Malaysia, 711,000 in Indonesia, 308,000 in Canada, and many more millions across the world. This is direct evidence of the efficacy of e-cigarettes in helping smokers quit. In fact, e-cigarettes are now the most popular means to quit smoking in many countries (pdf). This is in part because NRTs (nicotine gums and patches) have a low success rate, of barely 7%, with key drawbacks which e-cigarettes address. No wonder that use of NRTs is declining as smokers find ENDS a more effective means to quit. The WHO Report on the Global Tobacco Epidemic 2017 states governments of 30 countries have already banned ENDS. 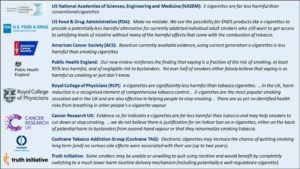 The advisory omits to mention the same report (pdf) states 65 other nations have regulated e-cigs (pdf). This is willful misrepresentation of facts. Of the 30 that have banned, most are small countries, some with dubious public health track records, while the 65 that have regulated are among the most advanced nations in the world, including most of EU, UK, US, Canada and New Zealand. Why is our country insisting on being in a fringe club instead of taking a cue from nations that have access to the best science? A number of metals – including lead, chromium, and nickel, and chemicals like formaldehyde – have been found in aerosols of some ENDS, with concentrations equal to or greater than traditional cigarettes. 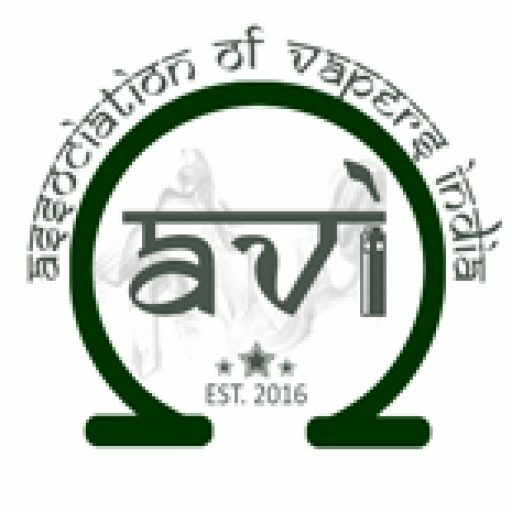 Many studies have been conducted on the presence of metals in e-vapour, and it has been consistently found they are present in trace amounts that is “unlikely to generate significant adverse health effects for smokers switching to EC use”. More importantly, their presence has been found to be at least an order of magnitude (10 times) lower than in combustible cigarettes. Further, the passive harm from vaping has been found to be five orders of magnitude (100,000 times) lower than in cigarettes whose second-hand smoke contains more than 4,000 chemicals that are known to cause cancer. Despite this significant harm reduction, the Centre has chosen to allow cigarettes and ban vaping. As such, the evidence is sufficient to warn children and adolescents, pregnant women, and women of reproductive age against ENDS use and nicotine. There is more than enough evidence on the destruction caused by nicotine-containing tobacco cigarettes – a million deaths in the country every year, tobacco causes annual economic loss of over Rs 1 lakh crore (pdf) – but the government is yet to act on it. On the other hand, there is voluminous evidence that e-cigarettes are much less harmful than smoking, which the government has either overlooked or intentionally misinterpreted. It is accepted by major scientific institutions, from the Royal College of Physicians, American Cancer Society, National Academies for Science and Engineering as well as the USFDA, that e-cigarettes are substantially safer than smoking. ENDS are not considered NRTs in India and hence cannot be allowed. A majority of the 65 nations have regulated e-cigarettes as consumer products to ensure smokers have access to them and can switch. We will welcome a framework which allows for pharmaceutical control of nicotine that can thereafter be made available as consumer products, like NRTs. However, excessive barriers to switching will negatively impact the potential to reduce harm. The government claims ENDS are barred under the Drugs and Cosmetics Act (DCA). However, we have specific RTI replies from government departments that state ENDS do not come under DCA. This is a major discrepancy. DCA and related regulations are silent about e-cigarettes and e-liquids. Conventionally, in such a scenario, the item is deemed unregulated but permitted. The government is making an exception without justification. A risk-proportionate regulation will benefit all. We strongly oppose Centre’s decision to advise states to ban ENDS. By denying 12 crore smokers in the country access to safer alternatives, the government is committing a grave public health policy mistake which will be directly responsible for the deaths of millions of Indians. The government has also ensured its protection to the tobacco industry by keeping safer alternatives out of the market, at a high personal cost to citizens. Because of the sheer health burden of smoking in the country – a million deaths, lack of public healthcare and annual economic loss of over Rs 1 lakh crore – the government should have aggressively backed prevention measures and encouraged an alternative even if it was 10% safer. It is therefore acutely dismaying that it has chosen to prohibit vaping, for which there is evidence from major health bodies of being 95% safer than smoking.